Public holidays in East Timor can be divided into two groups: Christian and Muslim religious feasts, and holidays that commemorate important events in the country’s liberation struggle. Independence Restoration Day celebrated on May 20 belongs to the latter group. East Timor, also known as Timor-Leste, is a small country in Southeast Asia. One of the world’s youngest independent states, it achieved full sovereignty in 2002, after more than two decades of Indonesian occupation followed by a transition period. Before European colonization, the island of Timor was part of Indian and Chinese trading networks. It exported wax, honey, aromatic sandalwood, and slaves. It was sandalwood that attracted Europeans to the region in the beginning of the 16th century. The first Portuguese traders arrived in Timor between 1509 and 1511. In 1556, a group of Dominican friars established a mission in the area. The Dutch took control of the western part of Timor in 1613 (today, West Timor is part of the Indonesian province of East Nusa Tenggara). The Portuguese officially established a colony in East Timor in 1702, sending a governor to the settlement of Lifau. Due to attacks from an independent-minded Eurasian group named the Topasses, the capital of Portuguese Timor was moved from Lifau to Dili in 1769. 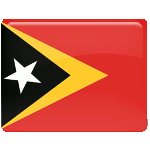 Today, Dili is the capital and largest city of Timor-Leste. The island of Timor was formally split between Portugal and the Netherlands by the 1859 Treaty of Lisbon. The Portuguese continued to export sandalwood and coffee from East Timor, but didn’t invest much in the colony’s infrastructure. Following the Carnation Revolution of 1974, Portugal withdrew from its colonies, including East Timor. On November 28, 1975, the Revolutionary Front for an Independent East Timor (Freitilin) declared the former colony’s independence as the Democratic Republic of East Timor. However, this independence was short-lived. Ten days later, East Timor was invaded by Indonesia. On July 17, 1976, Indonesia formally annexed East Timor, although the annexation wasn’t recognized by the United Nations. The Indonesian occupation of East Timor lasted for almost two and a half decades. By 1979, armed resistance to the occupation had been all but destroyed. For almost twenty-five years, the people of East Timor were subjected to deliberate starvation, torture, and massacre. Hundreds of thousands of people died from hunger, illness, and violence. Indonesia’s occupation of East Timor officially ended in 1999, following a UN-supervised independence referendum. The United Nations provided an interim administration until the independence of East Timor was officially restored on May 20, 2002. The anniversary of this event was declared as Independence Restoration Day. Independence Restoration Day is a public holiday and a day off for the general population. Schools, government offices and most businesses throughout East Timor are closed on this day. Independence Restoration Day should not be confused with East Timor Independence Day, which commemorates the country’s independence from Portugal. It is celebrated on November 28.